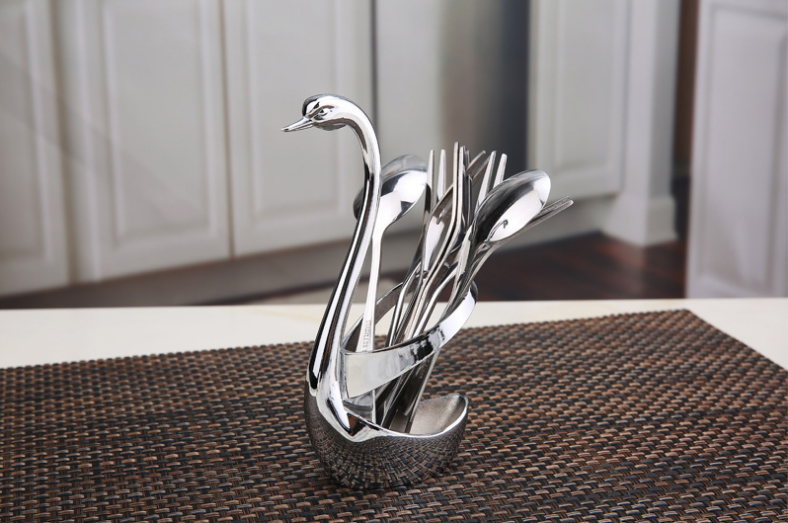 Creative swan-shaped tableware rack, fine workmanship, beautiful and simple and practical, you can put knives, forks, spoons and other different tableware neatly. They are both practical appliances and decorations on the table. Package: 1 pcs/box, 48 pcs/ctn, 28 lbs/ctn.